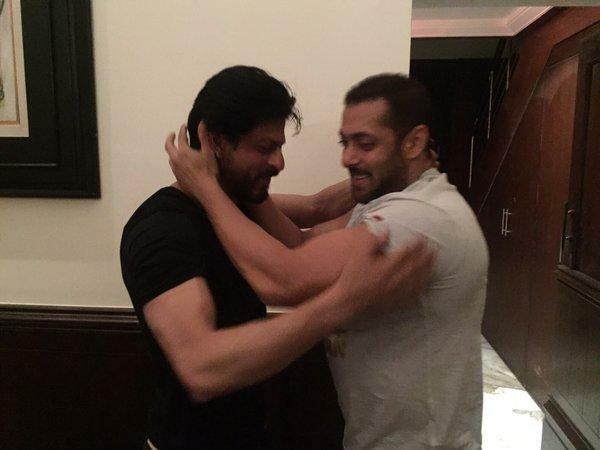 Shah Rukh Khan and Salman Khan have indeed kept aside their differences and moved ahead with their lives. The duo have been there with each other during the thick and thin. While SRK visited Salman during latter's sister Arpita's wedding and there after even before his court hearing, Salman also took an effort to see Shah Rukh on the special day of his 50th birthday. 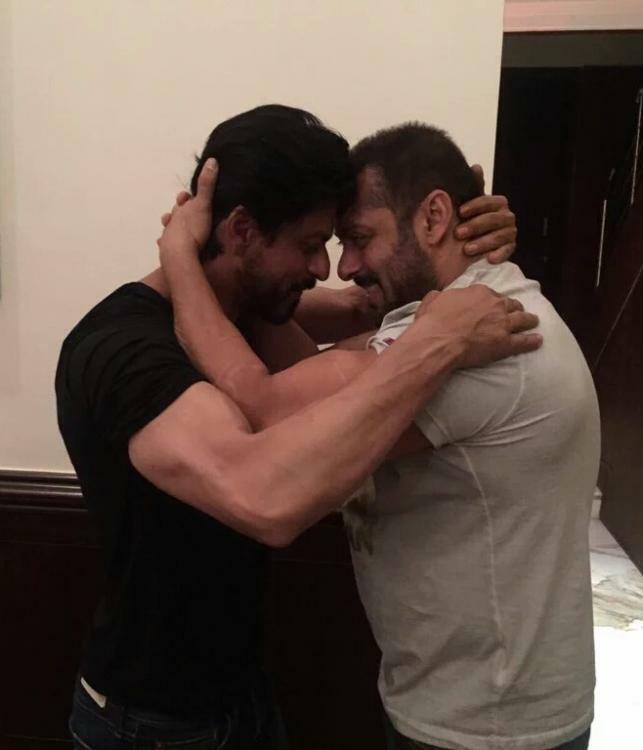 Yes, last night Sallu, who had sent across loads of wishes for SRK and only wished love, happiness and more to him, visited SRK and gave him a big birthday hug. The brothers from another mothers also shared a laugh while they were being snapped together. Shah Rukh shared this adorable picture on Twitter with a caption that read, " Bhai teaching me the moves for Sultan on my birthday."